Rich dark chocolate flavour that will have customers craving to buy again and again. There’s only one way to improve on the sensual experience of rich dark chocolate with a glass of fine red wine – put them in the same bottle. 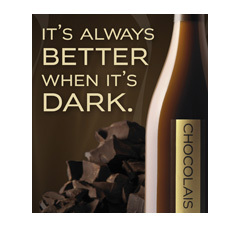 That’s exactly what Chocolais does. And it gives you a niche to profit from, especially with women and the men who buy for them. The countries of origin for the ingredients of Chocolais is the unequalled dream team: rich Swiss chocolate; thick Dutch cream; fine Italian wine. And since it has the same proof as wine, it can be carried in every venue licensed to sell alcoholic beverages. With the impact of graphics that are almost as luxurious, Chocolais begins to sell itself at no additional cost as soon as it reaches your floor. 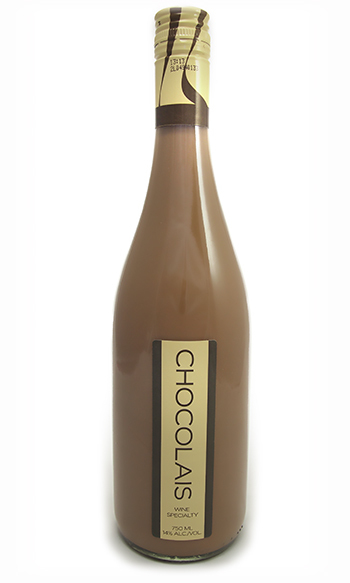 Chocolais was recently voted the number one product of its type by drinks writers in the USA. A rich experience for you and your customers.